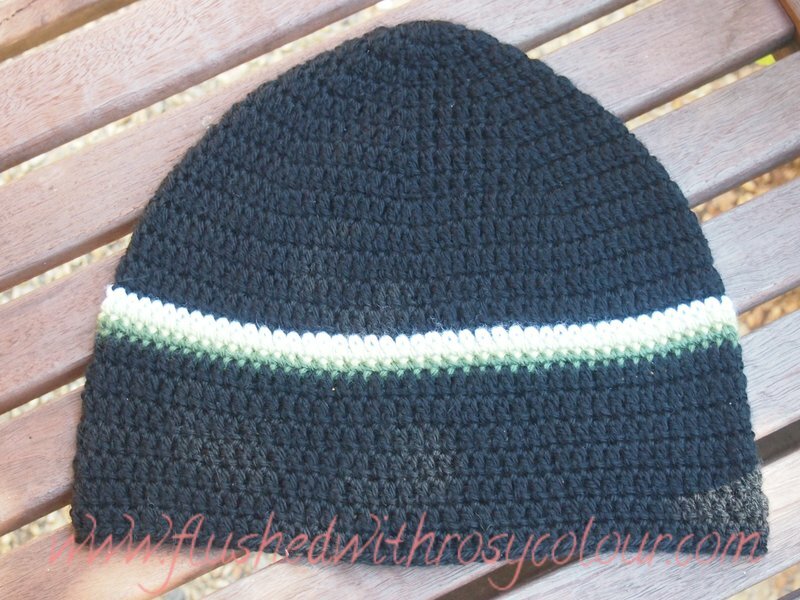 This is a large adult sized beanie for my father, as he wanted a new one for the coming winter. The simple brown beanie I made for him two years ago has stretched, it was made with acrylic, this one is with the luxury wool from Bendigo. I'm not sure this beanie will not be too big, although I did try it on my dad's head when he was visiting last weekend and my mum said it was the right fit. I suspect this one might be too big! Its what I call a 'large adult' size, with 10 increasing rounds. I have been starting new rounds on beanies with a sc 2ch after a visit to my craft centre and my crochet teacher suggested it. But that leaves a gap so the seam can be easily seen, which is why I put tails on my monster beanies. But my father was quite adamant that his beanie should not have a tail! So for this beanie I started each round with a sc 1 ch and there is less of a gap. 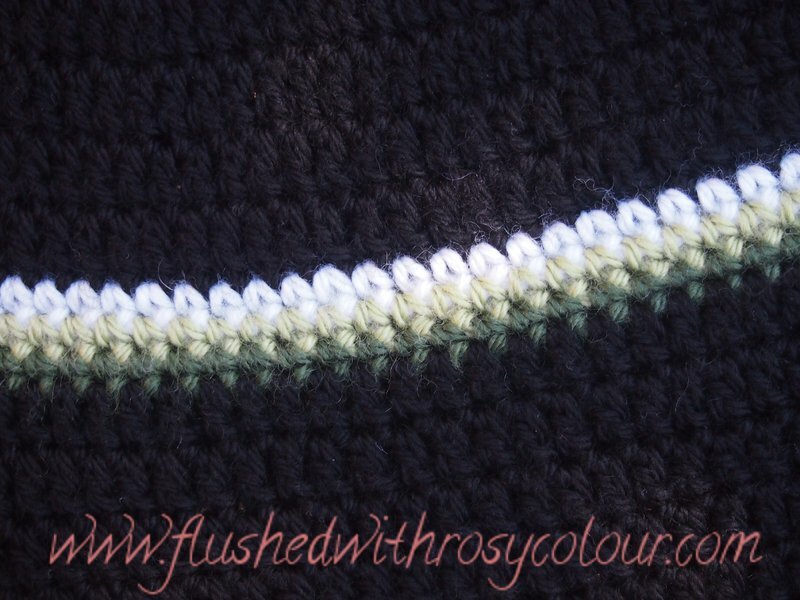 For the colour changes at the stripe, I used a new method for invisible seams on Sarah London's blog. I also now sew every end of yarn through with a yarn needle. I've found that when I've used the weave in method the ends poke through after you wash the item. I believe taking a bit more effort and care produces a hand crafted item of high quality. I'd much rather do this than a rush job and be less than happy with the result. But I'm still not entirely happy with the colour changes at the stripe, so its something that I have to keep working on.